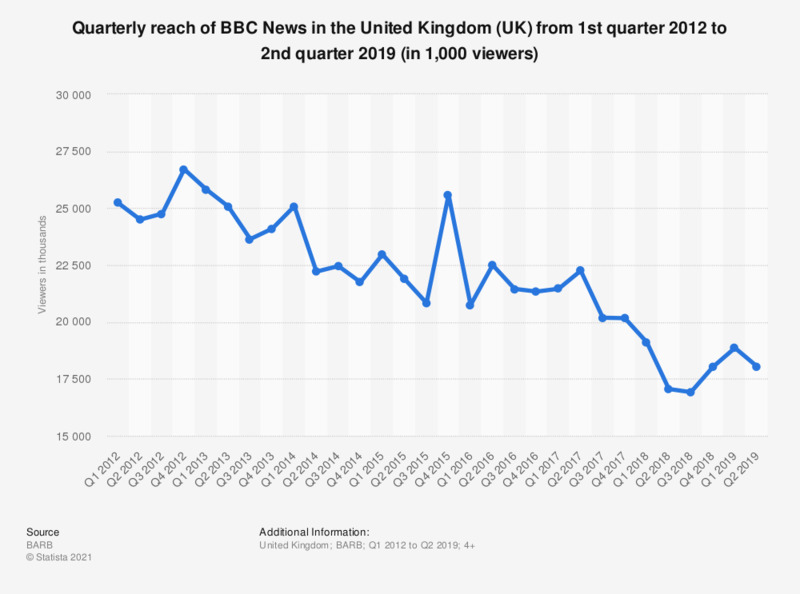 This statistic shows the quarterly reach of the BBC News television channel in the United Kingdom (UK) from the first quarter of 2012 to the fourth quarter of 2018. In the last quarter of 2018, BBC News reached 18 million viewers. Data previous to Q4 2018 published earlier by the source. Of all news sources, which one source are you most likely to turn to if you want impartial news coverage?